Yesterday, Zadig Abraham made headlines across Ethiopians news outlets after disclosing that he is resigning as executive committee member of Tigray People’s Liberation Front (TPLF) whose powerful leaders are confined to Tigray region following political change in the center, Addis Ababa. Apart from being executive committee member of TPLF, Zadig Ahraham served in various capacities at the Federal level of government. Among other things, he served as Director of Renaissance Dam Coordination Office, as Director of Justice and Legal System Institute, as Deputy Minister in the department of Government Communication’s Affair, as an advisor in the Civil Service minister and as media and public relation head under Hailemariam Desalegne administration. In what is said to be a five pages resignation letter submitted to “TPLF’s Addis Ababa zone” office, which Zadig confirmed to Voice of America Amharic service in an interview aired today, he pointed out two reasons for his decision. The first one is his party (now former) is not supporting the ongoing change in Ethiopia. At times, he added, the party even opposes the reform measures. Secondly, TPLF is handling the identity question of people in Raya forcefully. As a result, many people have been killed, displaced and arrested. He asserted that people of Raya’s quest to live with “brotherly Amhara people” need to be respected, not repressed. In an interview with VOA Amharic service (Amharic audio clip is available here), Nega Assefa, TPLF’s rural political mobilization coordinator, dismisses allegations against his party. He added that Zadig never raised those issues within the party until recently. With regards to allegations of not working towards democracy and not supporting the ongoing change, Nega response went to the extent of claiming that “TPLF is a key player and the owner of the change” happening in Ethiopia. 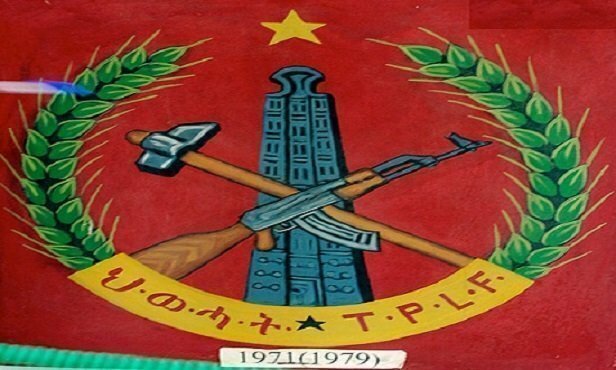 In an effort to substantiate his claim, he said that TPLF changed its chairman and undertook internal evaluation for 35 days which led to, based on his views, consensus that party has not done enough in terms of development work and good governance. Raya question? Nega dismissed it entirely. “There is no Raya identity question. People in Raya have good governance issue,” he claimed. Nega rather accused Zadig of never raising the issue of Raya when he was nominated for central committee membership. On the other hand, Zadig claims that he has been receiving threat and that he has faced lots of plots during his time within TP –perhaps a possible reason why he had to avoid submitting his resignation letter to TPLF head office in Tigray. TPLF seem to have mistrust towards the Federal government. Recently, the regional council, which is entirely dominated by TPLF, unanimously rejected the establishment of “Identity and Boundary Commission” which is approved by House of People’s Representative. As well, the party seems to be disobedient to hand over suspects, including former spy chief – Getachew Assefa – in connection with human rights violation and corruption. One Response to "TPLF responds to allegations of not supporting change, Raya question"
How come that the boundary cimmision..does not have a single somali..yet Somalia are the largest by land mass in ethiopia..why Somalis willing to accept chages..but federal government not interested respecting its citizen.. dr abiy. Never met Onlf..even during his opposition meetings in addisababa..they appointed Ahmed Shide..who is not known in Somali region..
Can someone tell us why federal government interested Somali regions land but not its citizens..can any oneexplain not a single GENERAL MILITARY..of Somali origin..